Condo corporations are required to provide access to, and produce copies of, records prescribed by section 55 of the Condominium Act, 1998 (the “Act”). Previously, the Act imposed a penalty of $500 for the failure to produce records without a reasonable excuse. Now, this penalty can be up to $5,000. 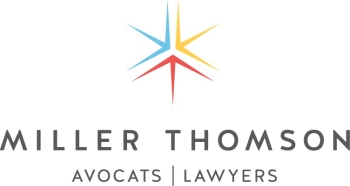 The Condominium Authority Tribunal (the “Tribunal”) has noted that penalties are imposed to encourage condo corporations to take their legal responsibilities under the Act seriously. How the condo corporation responds to a records request and its conduct during the hearing process are key considerations for the Tribunal in determining the amount of the penalty. In Tharani Holdings Inc. v Metropolitan Toronto Condominium Corporation No. 812, the Tribunal imposed a penalty of $2,000 against the condo corporation and made an order that the owner may deduct the amount of the penalty from any fees owing for its common expenses if the penalty was not paid within 30 days. This is the highest penalty to date. The $2,000 penalty was imposed because the condo corporation “willfully disregarded, or was willfully blind to, its legal requirements” under the Act and Regulations. The condo corporation did not respond to the records request or participate in the proceedings. On October 30, 2018, the owner requested two sets of records: (i) core records; and (ii) minutes of owners’ meetings. The owner subsequently corresponded with property management by email on several occasions and made specific references to the records request. While property management responded to other queries in those emails, there was no acknowledgement or response to the records request. The Tribunal held that such conduct is a refusal to provide the records without a reasonable excuse. $1,000 in Shaheed Mohamed v. York Condominium Corporation No. 414 because the condo corporation did not respond using the mandatory form in a timely manner. The Tribunal found that there was “no actual or reasonable effort” by the condo corporation to satisfy its legal obligations. $500 in Terence Arrowsmith v Peel Condominium Corporation No. 94 because the condo corporation did not have a reasonable excuse to withhold records. Technical errors in the requests (i.e. alleged fields and pages missing) can be clarified, so this does not constitute a reasonable excuse. $500 in Rafael Barreto-Rivera v Metropolitan Toronto Condominium Corporation No. 704 because there was “no genuine effort” to produce records. The condo corporation did not respond to the records request over a period of two years.